This weekend we are exhibiting at the Milwaukee/NARI Home Improvement Show with a 20’ x 50’ display. The Staff at All American Window and Door Co. have been busy the last few months. Busy with projects and preparing for the 30 Year Celebration. One of the projects, they sort of hid, was a brand new trade show display. If you’ve ever seen one of our displays, you’ll definitely want to stop out at the NARI show and check out our newest display. We have a brand new banner, back wall filled with new products, a bay window, patio door and the latest siding styles and colors, lots of really cool pictures as well as the two new special display cases. 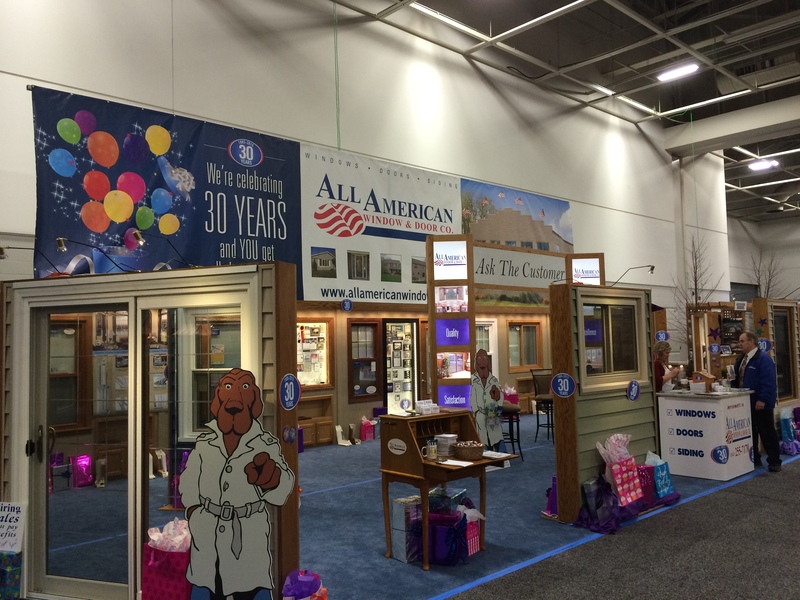 The All American Window & Door staff takes great pride in this new booth. 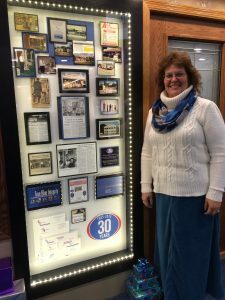 I had the privilege of make the two display cases full of special memories. How do you put 34 years into a 7’ shadow box? 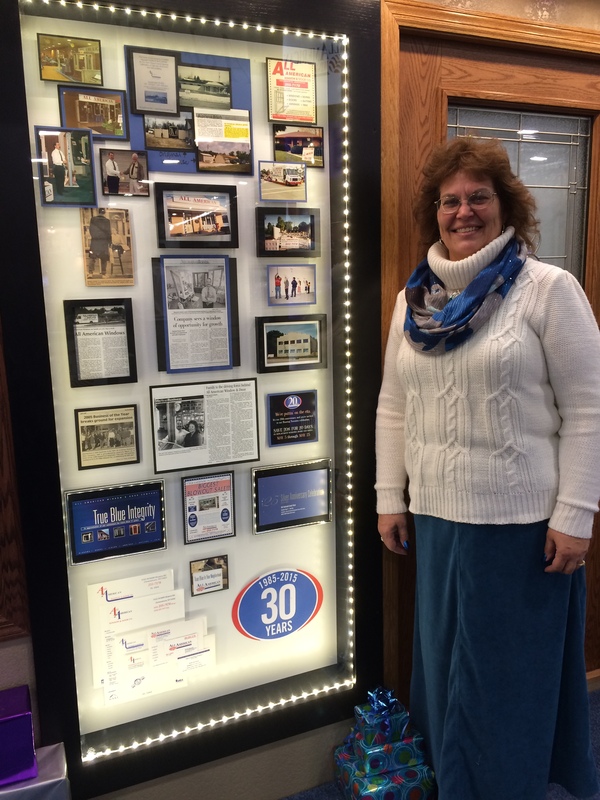 And how do you put 34 years of awards and community involvement into a 4’ shadow box? Quite frankly, you can’t! It was hard picking and choosing the right things, but I made it happen. Our guys built this beautiful new display booth and their expert installation knowledge and skill is on display for you to see. Come check it out! You are going to LOVE it…and so will the owners when they finally get to see it! Come to the show and speak with some of our customers and ask them about their home improvement experience. 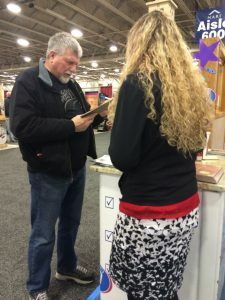 We have a section in our booth called “Ask the Customer.” Previous customers spend time in our booth talking to potential clients about their experience and why they picked All American Window & Door to do the work on their home. Come talk with our staff and play with full-sized windows. You’re welcome to slam a few doors too. Looking to do that siding project? 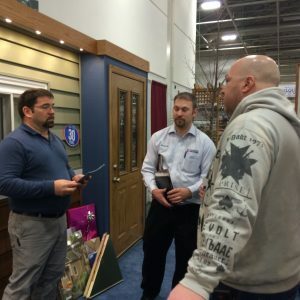 Come look at our siding walls and pictures. PS: All pictures with customer’s and client’s were used with permission. Previous Post 30 Years Begins…NOW! Next Post It’s National Sarah Day!